The healthcare industry’s billing laws and reimbursement policies are ever-changing. Being ignorant or ill-informed about these laws could cost your healthcare practice millions of dollars and ultimately cost you your job. In order to receive the right amount of reimbursement, you must learn how to ask the right questions. They won’t give you any leeway. 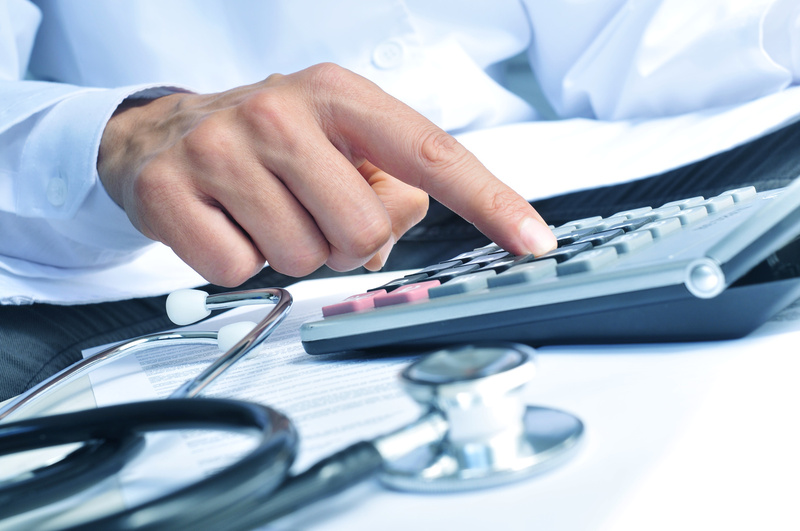 What questions do you need to ask of medical billing companies? Let’s discover the key things you need to inquire in order to maximize return for your practice or healthcare system. Just last year, MedStar Health got attacked by a ransomware hacker that demanded Bitcoin payment in order to return their data. MedStar ended up turning patients away. They had no access to the information that they needed to diagnose or treat them. This resulted in the loss of revenue. It took longer than three weeks to get their important PHI (Protected health information) back into their system. MedStar Health was fortunate. They were one of many attacks that have occurred in the past year. MedStar was able to recover their data fully, with no information loss. This is not true for most cyber attacks. Expiration dates can apply to data locks and after expiration, hackers may delete your data. The consequences for hospitals and practices would be catastrophic. It is rising in the industry due to the volume of sensitive data that’s stored and involved. It’s become crucial that healthcare systems hire medical billing companies that will protect and secure their data. Security and safety of information ensure that billing is HIPAA-compliant. Confirming that your vendor is up to date with the latest security protocols is necessary for your healthcare practice’s health and PHI. How Do I Check Out My Vendor? Talk to your vendor. Determine what security measures they have in place. Make sure they match the current requirements and laws of PHI. Ask them to provide you with a detailed description of how they would protect your data. Having backups of your data is important. If medical billing companies were to get attacked, requiring a data backup could ensure your data will be safe. Healthcare organizations must go through assessments, have appointed officers for compliance and HIPAA security, complete continuous assessments throughout the year and have an extensive record of how they are progressing. ICD-10 is an index of codes used to code diseases. These codes get classified by the World Health Organization. Being ICD-10 compliant is an important factor in selecting medical billing companies. In order to follow HIPAA measurements, healthcare organizations have to follow a standardized coding method. Your healthcare system should know it’s important to be ICD-10 ready. However, one aspect that comes along with ICD-10 is the constant change of coding. Vendors too must prepare to update to the new coding systems whenever they roll out. It’s crucial for healthcare systems to receive full reimbursements. Medical billing companies need to be experts. Even if they have certifications, it doesn’t make up for lack of experience. Picking a vendor that is good on their feet and able to use common sense when it comes to complex situations and coding decisions is vital. You need to verify that the vendor you choose to work with has billers that have experience with your specific specialty. They may be great with billing and coding, but if they have no experience in your specialty, they should not be in the final choices. Are Your Medical Billing Companies Flexible? More than likely, vendors already have systems and procedures in place. If your healthcare organization’s procedures are different, ensure your vendor will work with you without your procedural structures having to change. You should not have to entirely restructure your policies to fit a vendor’s needs. Your company would lose significant time and money to have to perform this. Request to speak with a reference company that has worked with the medical billing companies that are in the running. Listen to their feedback about what the team is like collaborating with and if you don’t hear negative feedback, that should bump them up on your list. Your billing staff must have a very low error rate. Accuracy is key when dealing with PHI, HIPAA compliance and reimbursement incentives. The rate of error should be provided on request in order to confirm their efficiency. High error-rate will hurt your healthcare organization’s revenue. A low rate of error shows that the vendor knows what they are doing, what they are dealing with and they have experienced people on their team. What will your medical billing companies provide you with? There are reports that you’ll need to get for filing for your healthcare organization. Making sure they will provide you with consistent data that your organization requires is key. Speak to a representative and request that they provide you with samples of the types of reports you’ll be receiving. Ask them to show you in detail what the reports will look like and what information will is on them. Clarify how often you’ll receive reports – daily, weekly, monthly, quarterly or yearly. Make sure to ask them for the types of reports your business specifically needs to file. Does Your Vendor Have What It Takes? All of the above questions need answers before you decide on one single vendor. When it comes to your company’s time and money, it’s of utmost importance that it’s spent correctly. Your healthcare organization should feel that it’s data is secure and in the hands of experts, reimbursements are maximal, and HIPAA compliance meets standards. Once you’ve found a vendor that meshes well with your organization and has all of the qualities you’re searching for, it’s time to close the deal. Are You Effectively Tracking Your Medical Referrals?